In our Phoenix sub-centre, the gathering of senior citizens on every Tuesday is a big event. More than 500 people assemble – most start trickling into the campus as early as six in the morning. It is a joyful feeling to see them mingling in the crowd and talking to each other thus creating a fine divine bond of relationship in the name of our Master. Many a time I do visit to address them for half an hour. It has benefitted me in a variety of ways: to look upon them as varied manifestation of Master and Mother; to enjoy the wonderful smiles on each of them; to engage them in some sort of philosophical thinking; to make them feel free and laugh so as to keep the negative, worrying thoughts at bay. Today when I stood before them and began my speech, I didn’t know what subject I should talk about. Mahashivaratri is on next Monday night. Why not I speak on Lord Shiva and Mother Parvati, I thought. I started thus: ” I just wonder whether I should greet you all a very happy Valentine’s Day?” That question brought loud laughter amongst the assembled senior citizens. The eternal love between the Divinities has had captured the imagination of very many poets. Puranas excel in retelling the story of wedding of Shiva and Shakti in most enjoyable form of narratives. So I went on to say about Shiva’s wedding with Parvati – one when She was born as a daughter of Daksha and another when she was born to Himavan. Both the wedding stories are fascinating. I adapted the former story from Sri Ramacharitamanas of Saint Tulsidas and the latter heard from a katha-kalakshepam done by Kripananda Variyar many, many years back. Both kept the audience on tenterhooks. Always good to hear you speak, wish I were there today to partake in the spiritual feast. Spiritual feasts can be also tasted by reading the holy scriptures like Ramacharitra Manas, Bhagavad Gita, Puranas and Upanishads. And you know in modern times nectarine words issued from the lips of saints like Sri Ramakrishna, Swami Sivananda, Sai Baba stand no less beneficial to ancient scriptures. By reading these wonderful books, one will be spiritually enlightened and great joy is derived. Remember that a spiritual book takes the place of a holy company when physically the latter is unavailable. 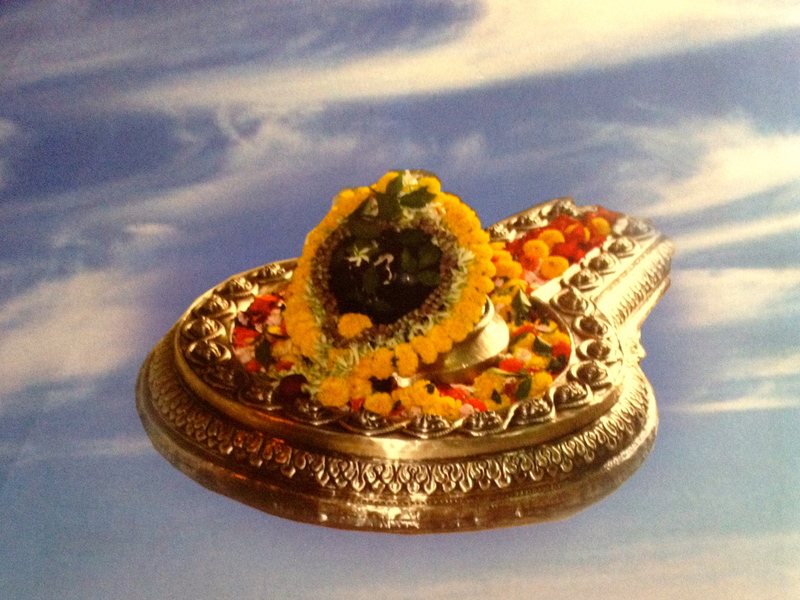 May the ensuing Mahashivaratri ensure spiritual elevation! The senior citizens must have carried the smiles home and shared it with their family members creating an environment of love and harmony. 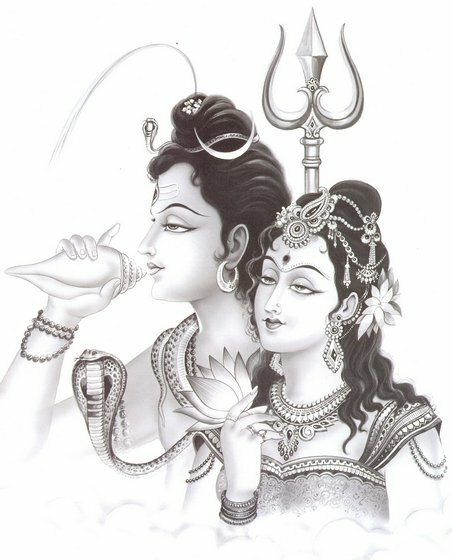 With Shivaratri around, I am certain that the senior citizens will remember the divine marriage on Monday. Laughter and humour is a very useful tool for God consciousness. May Master and Holy Mother bless these devotees with good health to enjoy the Holy Company on Tuesday mornings. I was so happy to receive your views after a long gap. It is extremely joyful and a great blessing for me to be able to bring some laughter and happiness to our aged folk. We are born to serve every jiva as Narayana. If only we could bring a little ray of hope and love in the lives of the afflicted, then we should consider that as sadhana. If one gives love and makes his fellow human beings his own, others are sure to follow suit. Be absorbed in the thought of Sri Ramakrishna, feel His presence, such is my prayer for you. Divine weddings remind me of Swami Brahmanandaji`s reaction to a human wedding procession then in Madras. Every one assembled there were stunned when Maharaj enjoyed the procession of newly wed couple by saying Siva Sakthya Yuktho yadi bavathi – in fact this was the meaning of what Maharaj said Unity of two souls was witnessed and blessed by the great Sage. Yes, that is how nobles see the Divine in day to day or mundane actions. Splendid is the post on Divine weddings! Yes, what you have said is appealing to me. Marriage is a spiritual bond between two souls. One must always bear in mind that one is a child of the Lord and should live according to His guidelines for a successful marriage. Patience, forbearance and love should be the keywords in a happy marriage. How wonderful Master made the householders saints of repute! Very aptly you had brought out the inspiring incident from the life of Swami Brahmanandaji. Nothing more need be said! So much so that at our wedding, my dear friend Verushka Pather and Manish gave a prayer rendition for us in the form of dance reflecting the Shiv-Shakti wedding. This dance recital as the opening prayer for our wedding was what I requested of her as a gift to me. It was the first time they performed it together and for this purpose; and it set the tone for (in my opinion) a perfect and spiritual wedding that was the highlight of the day. With our wedding anniversary coming up on Friday 17th february, I remember this day with even more fondness especially since Verushka always likens Hasu to the Shiva in Tandava dance! It is indeed joyful to know that your wedding ceremony commenced with a dance on Shiv-Shakti. This type of dance epitomises the union and harmony of two souls. As you celebrate your wedding anniversary, remember always to nourish each other, share in your joys and sorrows, care for each other and give sustenance to one another by directing your lives towards “Service to man” and devotion to God. As busy medical professionals, both of you have enough scope to see God in man. May our Lord always guide, protect and keep you and Hasu in good health. Really enjoyed your report on speech and was thinking if I could attend this speech over there! Your each word is full of spiritual inspiration. It is true real love can be found in our Hindu religion like Shiva-Durga or Krishna-Radha. Hope all of you are keeping well. You are welcome here anytime! Faith in the Lord generates devotion and love, that brings about great inspiration. When one lives an exemplary life, one’s heart expands in love embracing all. Though in the narratives of both the divine couples, there are differences in the leela (play) aspect, yet, at the highest philosophical sense, both point out the extreme yearning of the jivatman to merge and become one with the paramatman. May your devotion to the Master increase a hundredfold and may His blessings be upon you. Kindly accept my humble and respectful pranam. I am Jagabandhu (Sudarshanananda) Ex-Narottam Nagara. Now I am in Shillong. I have seen your beautiful blog magazine. It is very much interesting and informative also. I pray to you kindly to send a copy to me at Shillong address as and when it is published. Some old copies also you may kindly send. Yes, yes, I indeed remember very well our Jagabandhu Maharaj! I am happy that you are in Shillong ashrama. What a beautiful centre it is! Almost two or three times in a year I would visit Shillong during my long stay in Arunachal Pradesh from 1979 to 1989. Many thanks for your appreciative words! I have already included in my mailing list so that every time a new Post is published in this Blog, you would be automatically informed. This Blog can be navigated to older Posts also which you can read online. No need to print it separately saving the precious paper! Please do not forget to read on the Comments that follow every Post. Some wonderful thoughts are discussed by devotees from all over the world. Pranam to Holy Trio and dearest Maharaj. I was indeed blessed by Master’s grace to be at this function. Besides the senior citizens, you had all of us smiling and in a wonderful mood. You are indeed Thakur’s gift to South Africa in taking such high philosophies to the level of the ordinary devotee in the most innovative way. Yes! I was happy indeed to see you at the Phoenix sub-centre function. It is a sheer delight to see a gathering of that nature all thirsty for the knowledge of God and feeling joy to hear His Name! Well, I hasten to caution you now, I feel that I do not deserve that singularly high praise! When I was in India hardly I used to get hold of the mike and speak! My lingua franca used in my normal conversation was Bangla and/or Hindi. It is said that one must think in a language in which one gives speech. Then only you will have a ‘flowing’ speech! In 2007 when I was posted here I went through great moments of pressure in getting used to think in English. You all would have noticed that I would sometimes, give a little lengthy ‘pause’ so that I could ‘translate’ mentally those Bangla/Hindi words into English! Actually South Africa has compelled me to give speeches aplenty! But by all this, if devotees are glad and feel beneficial, I know it in my heart of hearts, its all Master’s grace alone! Mother comes to my rescue (so gracious She is) when I stand before the audience! kripaa hi kevalam, kripaa hi kevalam, kripaa hi kevalam sharanye! My humble pranam and prostrations at thy feet! I thank Swamiji for blessing us by sharing his profound wisdom. Swamiji’s article, in mentioning Valentine’s Day in his Talk, reminds me of how Swamiji once commented on how religious practices should be adapted in the modern age and Swamiji provided the apt example of how certain Christians in India perform arathi, being a distinctly Hindu practice, to worship Lord Jesus Christ. In this article, I feel that Swamiji perfectly used the mood of Valentine’s Day to illustrate the sacred relationship between Lord Shiva and Mother Parvati and thus captivate the attention of the audience, which, Swamiji never fails to do wherever he goes! Glad to have received your comment. As time changes, people change, old customs die out, leaving room for new ideas and new beginnings. Having said that, we must always bear in mind that the goal of life is God Realisation. However modern one may become, the golden thread of spirituality and dharma must always be shining foremost in our lives. Often we weave the old with the new ideas, but our remembrance and the presence of the Lord must be felt at all times. Indeed, we are blessed to have Maharaj enlightening us on spiritual values by virtue of narration, more than often the narration feels in real time! One can only (!) imagine the captivated audience & their wonderful experience. Very glad to know and read your blog on Divine Weddings and the comments by some of the people. You are using modern tool to disseminate the lofty ideals of our culture to the common masses by bringing joy to people. This is what I have seen during my visit to Ranchi and occasionally at Belur Math. My grateful thanks to you, Revered Maharaj! Many thanks for your kind appreciative words, which are so rare in this modern world! As technology is improving, there are many new innovative methods that come into play in dissemination of knowledge. Conservative minds find it hard to accept such methods. But overall I see that this blog has become a good vehicle (with its own limitations) for me in taking Vedanta everywhere. Sorry for the delay in my reply. I was awfully busy with the visit of brother Atmapriyananda here. He left on 14th instant after spending a ‘navaratri’ joyfully here. His lectures were heard with rapt attention every where. I have arranged a small contribution to your Ashram. Please accept and pray for all of us.